After introducing the world’s first single link 12G-SDI production switcher at last year’s NAB convention, FOR-A will showcase more 12G technology at the upcoming NAB Show. Production switchers, video servers, keyers and test signal generators that support both 12G-SDI and 4K and 3G-SDI and HD resolution will be booth highlights for FOR-A (NAB Booth C5016.) The 2019 NAB Show will be held from April 8-11 at the Las Vegas Convention Center. “With the HANABI HVS-6000, we are the first to create a production switcher with enough bandwidth to carry the signals all the way through using a single coaxial cable,” said Takaaki Imoto, senior general manager of FOR-A’s overseas sales and marketing division in a statement. Offering 12G-SDI capability on all inputs and outputs, the 3 M/E HANABI HVS-6000 uses a single cable link. Video signals are processed throughout as a single image. The HVS-6000 is a 12 RU switcher, with a maximum of 80 inputs and 32 outputs or 64 inputs and 48 outputs. It also offers frame synchronization, frame buffer, 3D DVE, and 4 keyers per M/E with DVE function + 4 DSK’s. Its optional board-mounting SFP connector that supports an IP interface will debut at NAB 2019. The HANABI HVS-1200, a compact 4K/HD compatible switcher, will be on display as a package supporting 12G-SDI, with the MFR-1000 routing switcher. The integrated HVS-1200 and MFR-1000 combination creates a compact and affordable 12G-SDI and 4K production system. This switcher builds on the features of the HANABI HVS-490 video switcher and adds 12G-SDI support as standard. The switcher also utilizes a single cable for image processing and is configurable as both a 12G-SDI and 4K and as a 3G-SDI and HD switcher. 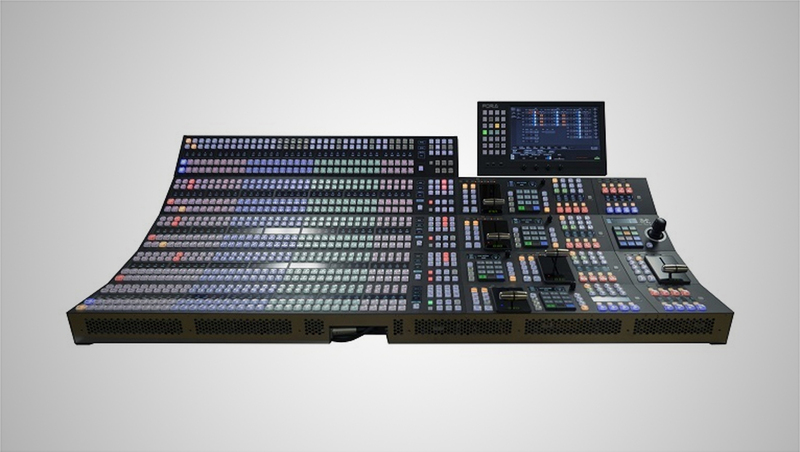 In HD mode, the switcher accepts up to 40 inputs, and in 4K mode it accepts up to 10. In 4K mode, the switcher provides 2 ME performance (1 ME plus 1 MELite), and in HD mode it’s a 6 ME (2 ME and 4 MELite) switcher virtually. The ESG-4200 12G and IP test signal generator will also be on hand in FOR-A’s NAB booth. The ESG-4200 supports 12G-SDI, Video-over-IP SMPTE 2022-6 interfaces and provides a range of audio and 4K video testing. IP video introductions include: the SOM-100 media orchestration platform, the USF-10IP IP Gateway, and the MBP-1000VS-IP video server. An integrated baseband and IP control and monitoring system, the SOM-100 is designed for use in a mixed SDI and IP environment. The SOM-100 offers seamless operation of a variety of video equipment, monitored centrally from its interface. The new version of FOR-A’s popular FA-9600 multi-purpose signal processor supports 3D LUT for advanced color grading and Sony’s SR Live workflow for live HDR production. The dual-channel unit provides HDR and Wide Color Gamut support and conversion of multiple formats, such as: 12G, 4K (UHD), 1080p, and SD/HD. Each of the FA-9600 processor’s two HD and SD inputs includes a frame synchronizer. Because the multi-purpose signal processor features 12G-SDI terminals, optional software opens the door to 4K UHD production. The entire USF-Series of universal system frames, including the USF-106UDC-12G 4K up-down converter (which offers interlace and progressive and up and down conversion for a range of signals from SD and HD to 4K), will be on hand at the FOR-A NAB booth. Other USF series supporting 12G, such as the USF-105FS-12G frame synchronizer, USF-105UC-12G up converter, and USF-101MDX4-12G-101MDX8-12G audio multiplexer-demultiplexer, will also be introduced. Additionally, FOR-A will demonstrate efficient HD integration with third party graphics, replay systems and production servers, including partner products such as: the ODYSSEY Insight video server; the ClassX content creation and graphics playout solution; Variant Systems Group’s Envivo Replay sports and live event replay solution; Media Links’ IP Media Gateway, Fujitsu’s IP-HE950 H.265-HEVC real-time video encoders; and InSync’s frame synchronizer, frame rate converter, and up-down converters.